A very important aspect of our program, here at Lilli and Lori, is the time which we spend outdoors with the children allowing them both to explore the natural world and also to get regular exercise in the fresh air. 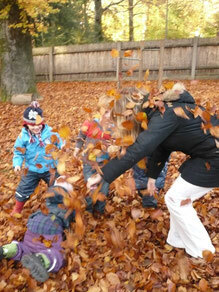 We have a wonderful, large, enclosed garden which we use at every available opportunity, regardless of the weather. 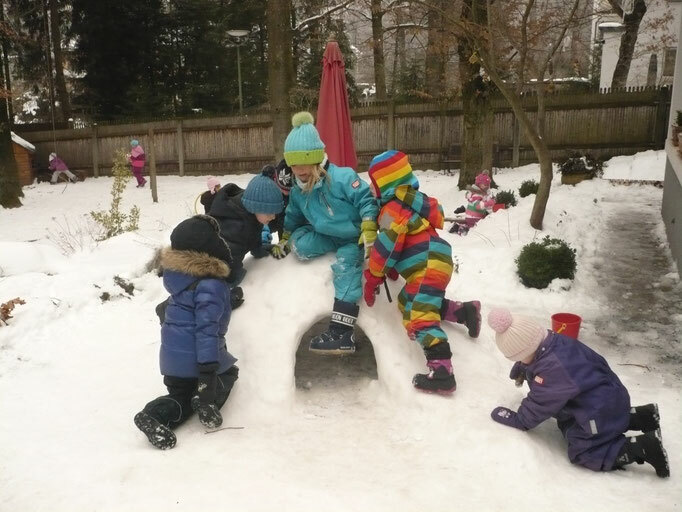 Being out in the garden, allows our children the freedom to play, and to see the effects of the changing seasons on the plants and shrubs which grow there. 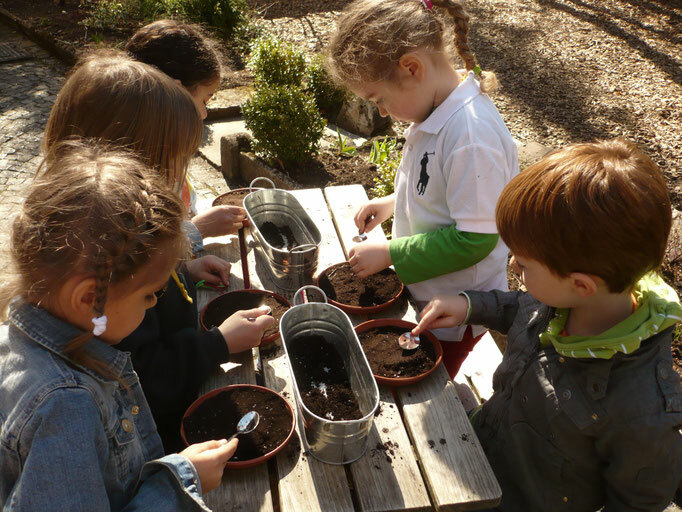 They also have the opportunity to plant, look after and harvest their own plants. 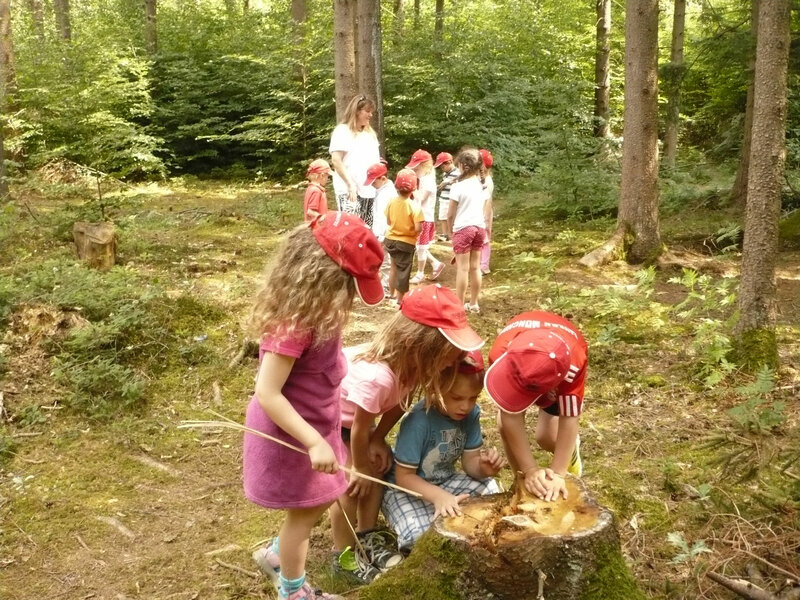 In addition to our time in the garden, we take the children on a weekly nature-walk through the Perlacher Forest where they have further exposure to the rhythms of nature and the changing seasons and their effect on the natural world around us.